The return of one of the most absurdes Belgian duo for a second and terrific album! Formed by Jean-Pierre Jonckheere and maestro Pierre Vervloesem ( X-Legged Sally, Flat Earth Society). They played together back in 1982 in Itza Uchen and reunited in 2014 for their first album ‘Boîtes à Tartines’ (see OPV008). This time with a number one hit song : Broken line! Two other songs bring new horizons to the music of the band while the rest is their usual prog-psyche-avant-garde-jazz world of music! Once listened, never forgotten! A voyage into your brain! Dominique Van Cappellen-Waldock, vocals and lyrics on ‘Broken Line’ and ‘Glow’. She is most well known for her band Baby Fire (see OCD018) and LAS vegas (with Eugene Robinson from Oxbow, see OCD024). Seesayle, violin, guitar, vocal and lyrics on ‘L’angoisse du chicon’. Luc Van Lieshout, trumpets on ‘ Left Alone’. He plays in famed US band Tuxedomoon and also in FES (see also ODG004). "Pierre Vervloesem presents: a series of good music, whatever that means! 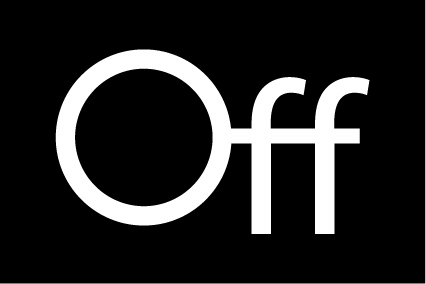 Several band projects have been published under this label at Off Records. According to the motto of the Belgian musician Pierre Vervloesem no album does sound like the other. This goal again has been reached and reached is the right word. Jean-Pierre Jonckheere and Pierre Vervloesem played together in 1982 in the band Itza Utchen. 2014 saw the resumption of their musical work with the album "Boîtes à tartines". Together with some guest musicians, the created again a pleasant sloping, extravagant album. It's 11 tracks and 57:02 minutes of play brings together crazy and unusual ideas that never were united in this way and oppositely socialized in their original idea. 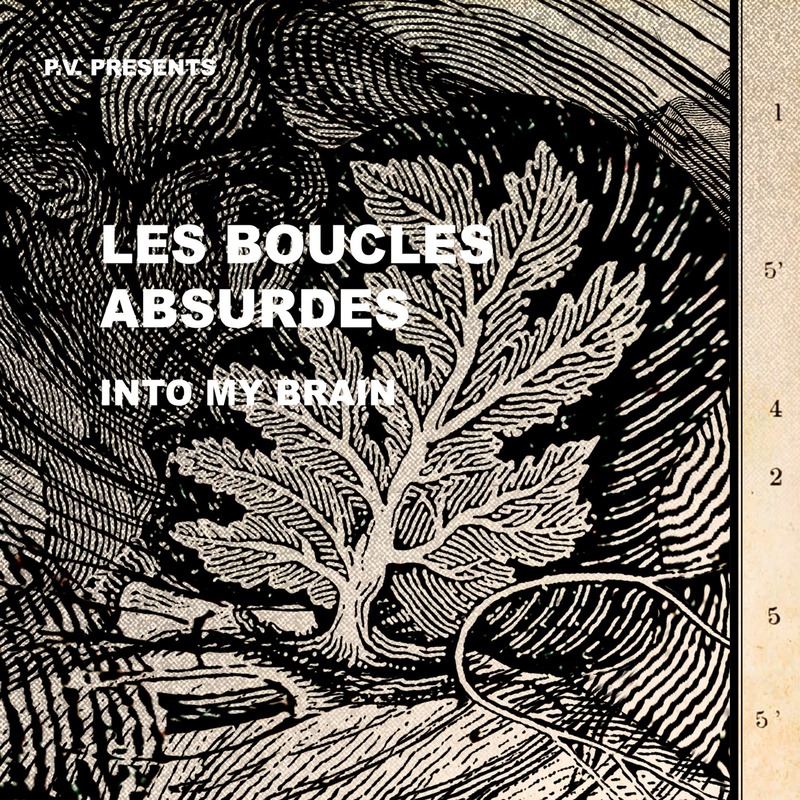 Les Boucles absurd thank PIL, Laurie Anderson & The Mariner's Children. At the same time they could thank King Crimson and Frank Zappa, of which structural components and guitar work were involved. The album goes straight ahead with a hit. "Broken line" has a great Groove, is an extra-hard Electric Avant-funk song with New Wave or better No Wave vocals, shoot the whipping Drums and radical electronic sharp out of the speakers. Even the rather psychedelic inlay has its hit moments. But as such things happened in the early eighties or end seventies, the original was completely pop, not nearly as smart and tough and weird and extravagant. Les Boucles absurdes, progressivise 'the original idea-material in its own composition in which crazy avant-garde music stuff, in the catchy pop, gentle girls-voices, atonal electronic, ambiance poetry, zappa style guitar solos, crimson style instrumental disharmonies and No Wave arrive in 2015. Some fast pure material can be heard here on easy casual electric grooves, which break out in psychedelic monster parts and create atonal flair in which this hopeless moment of No Wave / New Wave is infiltrated. But the instrumental aesthetics is very today, here and now. Even new music can design itself, or strangely-mixed jazz fantasies that can erupt in extremely unusual directions as theater music. Last but not least, the duo worked out strangest Progressive Rock patterns that not in any case are easy, conventional or easily understood. The strange substance constitutes immensely to fascinating and rewarding multiple listening with new experiences. Digital and physical release on the 1st of May 2015.